Samuel B. Reed, III, 76, of Warren, PA. died Wednesday morning, December 7, 2011 at Warren Manor Nursing Home surrounded by his family after an extended illness. He was born February 24, 1935 to the late Samuel B. and Charlotte Kerr Reed, III in Clairton, PA. He has resided in Warren for the past 48 years and was formerly of Pittsburgh, PA. He was a 1953 graduate of Clairton High School and earned a Bachelor’s Degree in Chemistry and Biology from the Washington Jefferson College. He also did graduate work at the University of Pittsburgh. He was employed with Warren General Hospital for 33 years as the Director of the Laboratory retiring from there in 1996. Sam was a member of Grace United Methodist Church where he served on numerous committees. He was a 32nd degree mason with the North Star Masonic Lodge #241. He had served on the board of directors of the NFG #2 Credit Union and the Warren Unit of American Cancer Society and Warren Chapter of the American Heart Association. He was a member of the Alpha Kappa Fraternity. Loved to garden and playing Santa at numerous churches and schools. He is survived by his wife of 51 years, Agnes “Aggie” Betz Reed whom he married August 6, 1960 in Clairton, PA., 3 Children – S. Brice Reed IV of Warren, PA., Lori A. Reed Toth of Milltown, N.J., Debra L. Reed Swanson and husband, Craig of Russell, PA., 1 Brother – William Reed and wife, Martha of Bruin, PA., 1 Sister – Emma McIntosh of Virginia Beach, VA., 3 Grandchildren – K. Bailey Reed, Paul and Shannon Toth, several nieces and nephews. In addition to his parents, he was preceded in death by 1 Sister – Britta Cameron. Friends may call at the Donald E. Lewis Funeral Home, Inc., 304 East Street, Warren, PA. on Friday from 2 to 4 and 6 to 8 P.M. where members of the North Star Lodge will conduct their funeral ritual at 6:00 P.M. A funeral and committal service will be at the funeral home Friday evening at 8:00 P.M. with Rev. Marcus Briggs, Chaplain of the Warren General Hospital, officiating. Those wishing to place memorials may do so through the Warren Manor Patient Activity Fund, 682 Pleasant Drive, Warren, PA. 16365. 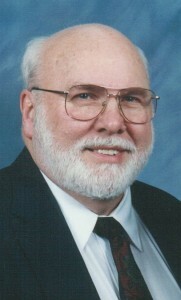 Those wishing to place e-mail condolences may do so by visiting wwwlewisfuneralhomeinc.com. Sorry to see Sam passed away. I worked at WGH for many years and have many good memories of him there. So sorry to learn of Sam’s passing. Now he is at peace and his suffering is over. He was such a active person and I know the past years have been a toll for all. May you find comfort in knowing all the good he accomplished in life. There are few sadder times in life, than when you lose someone especially dear to you. You know it will get better, the soul just uses time as a sponge to soak up the hurt and the grief and the heartache. He had a profound influence on my life and I still tell stories about him. He will never be gone, as long as we live and breath. He was Archie Bunker and a Saint, all rolled up in one of the most honest people I have ever had the privilege of knowing. Even at Disney, he could meet someone he knew, he was so outgoing and gregarious. But I also know his struggle is over now. God Bless Samuel B.Reed III and accept his mortal soul. Amen. I don’t know how to convey to you how important Sam was to my father. He still speaks of him almost every day. They were a tremendous team, with complimentary strengths, which allowed them to take a little small town laboratory and turn it into a model that others emulated. You have our family’s deepest sympathy. You are in my thoughts, my heart, and my prayers at this time. I am sorry that I will not be able to attend visiting hours on Friday but I am with you all in spirit. Please let me know if there is anything I can do for you.